Looking at today’s fast life style in metro cities, it is very much important to maintain your health and fitness for long & healthy life. The biggest challenge which people face commonly, is the shortage of time. 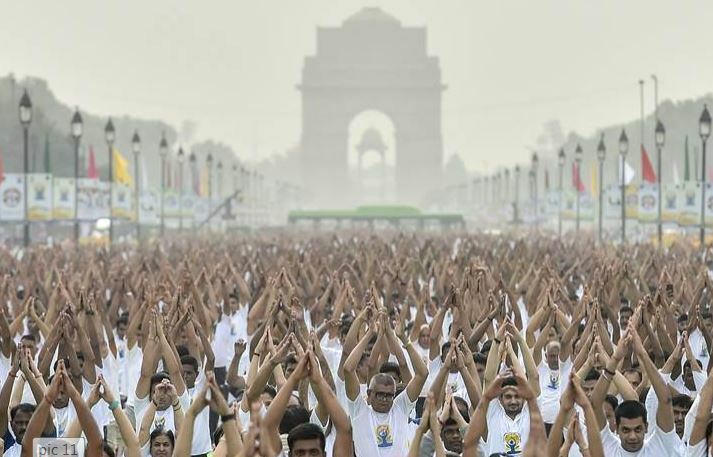 Everyone wants to be fit and look young but due to shortage of time and unorganized way of living most of the people face challenges in keeping themselves fit specially the people working in MNC’s . The reasons include odd shift timings and work pressure. We cannot deny the fact that regular exercise keeps our mind fresh and the body energetic which ultimately helps us in thinking positively and creatively both in our personal and professional life. The best way to do exercise regularly is to maintain a to-do list, in which we need to mention the duration of exercise same as we mention other important activities in our day to day life. Most of the time it has been observed that people holding the responsibilities at big positions or people working in corporate sectors believe that meeting deadlines & achieving targets is the only aim of life and there is no other life to live beyond that, but this is completely incorrect. Drink Water as much as you can – Drinking water in any form is essential for good health. As we all know that our body is composed of approx. 60 percent of water and it is very much essential for basic body functioning such as transportation of nutrient from one place to another, it helps in digestion, blood circulation, maintains body temperature etc; so drinking adequate quantity of water will clean our body internally and will give healthy life. Healthy Breakfast – Always have a healthy breakfast and avoid eating breakfast high in carbohydrates. Try to intake healthy balanced diet such as fruit juice, vegetables, grains which are rich in protein, fiber, vitamins and minerals. You can intake egg, oatmeal, coffee, yogurt, berries, nuts and green tea. Skipping breakfast is a big NO. Dine Smarter – If you are fond of hotel food, try to order food which is healthy and tasty both, for example if I like to eat chicken in hotel I would search for items such as boiled, grilled, steamed or baked, because these kind of food is healthy as well as tasty. Prefer Snacks – Always keep chocolate, pieces of fruits or anything which is healthy in protein. Eat after every three hours because eating every three hours will maintain your sugar level and will simultaneously help in over intake of food at meals time. Exercise – No matter how much busy schedule you have, try to takeout some time for exercise. At least 20 to 30 minutes a day is enough. Say no to Alcohol – Usually it has been seen that now a days it is the culture of MNC’s that both the genders drink Alcohol together and celebrate parties and functions. I*f you cannot say no to alcohol due to the pressure of your peer groups would suggest you take limited quantity of alcohol because it is very unhealthy because it is very acidic in nature. Sleep Well – It is suggested to sleep for 7 to 8 hours at least in a day for common man, but specially people having busy life are recommended to take proper and complete rest. It is important because it helps in regaining the power which is lost during the busy hours of life. Small Activities – These are few activities which we do in our everyday life but we do not pay attention towards them such as using stairs instead of elevator in office. Also, if your office is nearby your home such as 1 to 2 KMS, walk to the office instead of using vehicles. These small activities will burn your extra calories and will come in routine. All the above mentioned tips for healthy life are very easy to implement and what we all need to do is to maintain the consistency and must give our full dedication. Remember, there is no other wealth greater than health. If you are responsible for your job then you are equally responsible for your health as well. As they say, “Healthy mind stays in healthy body”. Share The Load; Remove The Stains Of Gender Inequality! Wildhawk Adventure : Perfect Place For Family Outings And Corporate Events. Hi everyone, I am Preeti A hands down mommy of two angels and was a teacher by profession. Had to take a sabbatical to enjoy the phase of growing my kids.The phase in which i was living a dream and raising also two dreams and the mother in me wanted to share the journey with all thus my third baby my blog came in the picture.